A report released by ATB Financial’s economics and research team on Jan. 30 says the number of Albertans who identify as self-employed stayed roughly the same throughout the recent recession and has remained consistent during the recovery. According to Statistics Canada, an average of 383,300 Albertans said their main job took the form of self-employment last year. This translates into about 17 per cent of all jobs in the province, said ATB. 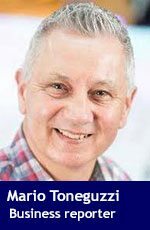 “Recessions often raise the potential for higher rates of self-employment, as those who have lost their jobs look for other opportunities to make a living. However, as the (attached) chart … illustrates, this didn’t come to fruition in Alberta during the 2015-2016 recession,” reports the financial institution. “In fact, self-employment’s share of total employment has remained relatively unchanged. 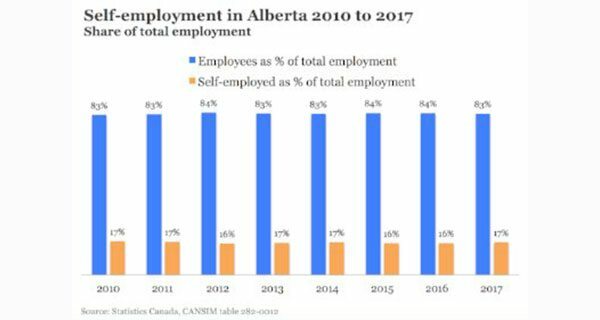 Looking at 2017 compared to 2014, the average number of self-employment jobs fell by 0.4 per cent while employee positions grew by 0.7 per cent,” says ATB.